Today's Worship Quote is another from the pen of A. W. Tozer. He was the pastor of Chicago's Southside Alliance Church from 1928 to 1959. He never went to be a Bible school, seminary or university, but his many writings consistently and powerfully direct the reader's attention to the amazing God who desires our love, devotion and worship. Sound Bible exposition is an imperative must in the Church of the Living God. Without it no church can be a New Testament church in any strict meaning of that term. But exposition may be carried on in such a way as to leave the hearers devoid of any true spiritual nourishment whatever. For it is not mere words that nourish the soul, but God Himself, and unless and until the hearers find God in personal experience they are not the better for having heard the truth. The Bible is not an end in itself, but a means to bring men to an intimate and satisfying knowledge of God, that they may enter into Him, that they may delight in His presence, may taste and know the inner sweetness of the very God Himself in the core and center of their hearts. - A. W. Tozer, The Pursuit of God, (Harrisburg, PA: Christian Publications, 1948). Lord, thank you for the Scriptures. Thank you that through them we can come to know you, inter into you, and delight in you. Amen! 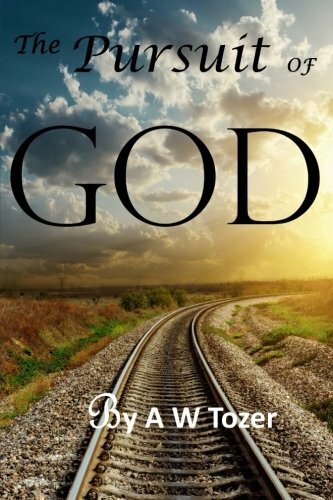 Today's Worship Quote of the Week is another from the pen of A. W. Tozer. "The blessed and inviting truth is that God is the most winsome of all beings and in our worship of Him we should find unspeakable pleasure." -A. W. Tozer, The Pursuit of God, Christian Publications, 1948. Tozer was the pastor of Chicago's Southside Alliance Church from 1928 to 1959. He never went to be a Bible school, seminary or university, but his many writings consistently and powerfully direct the reader's attention to the amazing God who desires our love, devotion, and worship. win-some: adj. 1. Causing joy or pleasure; pleasant; winning. "It was A. W. Tozer who reminded us that we are here to be worshipers first and workers only second. We take a convert and immediately make a worker out of that person. God never meant it to be so. God meant that a convert should learn to be a worshiper, and after that he or she can learn to be a worker. The work done by a worshiper will have eternity in it." Have you ever been too busy to worship? Is it possible to work so hard for the Lord, that we are hindered in responding to his love and grace? He served as Pastor of the Southside Alliance Church in Chicago for 32 years, from 1928 to 1959. He never went to be a Bible school, seminary or university, but his many writings are rich and continue to direct the reader's attention to the amazing God who desires our love, devotion and worship. Today's WORSHIP QUOTE OF THE WEEK comes from the pen of A. W. Tozer. When God would make His name known to mankind, He could find no better word than "I AM". . . Everyone and everything else measures from that fixed point. "I am that I am," says God, "I change not. As the sailor locates his position on the sea by "shooting" the sun, so we may get our moral bearings by looking at God. We must begin with God. We are right when and only when we stand in a right position relative to God, and we are wrong so far and so long as we stand in any other position. Much of our difficulty as seeking Christians stems from our unwillingness to take God as He is and adjust our lives accordingly. We insist upon trying to modify Him and bring Him nearer to our own image." -- A. W. Tozer, in THE PURSUIT OF GOD, Christian Publications, 1948. Lord, forgive me for trying to usurp your place as the great "I AM." Help me to see you for who you really are and to respond to you in spirit and in truth. He never went to be a Bible school, seminary or university, but his many writings consistently and powerfully direct the reader's attention to the amazing God who desires our love, devotion and worship. Today's WORSHIP QUOTE OF THE WEEK comes from the pen of A. W. Tozer. The moment we make up our minds that we are going on with this determination to exalt God overall, we step out of the world's parade... We acquire a new viewpoint; a new and different psychology will be formed within us; a new power will begin to surprise us by its upsurgings and its outgoings. -A. W. Tozer, in THE PURSUIT OF GOD, Christian Publications, 1948. Lord, the world's parade has a powerful pull on our lives. Today, help me to be in step with your ways, to have a new viewpoint, that I may know you and exalt you overall. Amen! He served as the pastor of Chicago's Southside Alliance Church from 1928 to 1959. He never went to be a Bible school, seminary or university, but his many writings consistently direct the reader's attention to the amazing God who desires our love, devotion and worship. 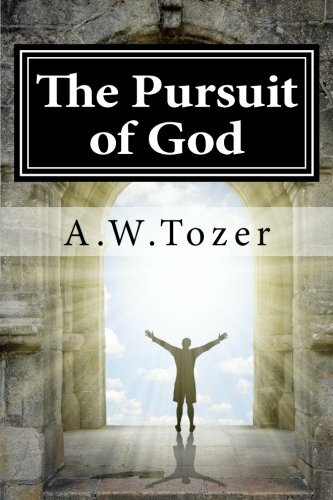 Today's WORSHIP QUOTE OF THE WEEK is another from the pen of A. W. Tozer. That says something about our constant discussions (sometimes quarrels) over worship styles and preferences. Lord, protect us from any "unity" that would dull our vision of your glory.